For years I have wondered why black women, especially in Africa and Nigeria in particular decide to alter their natural skin pigmentation. And then I concluded from my research that it must be a case of some sort of complex; it seems to me that so many black people and women in particular feel a sense of inferiority, and as such they would want to resort to bleaching their God given beautiful dark skin without minding the deadly consequences or attendant hazards. The sorry side of the beginning of this ugly development is the fact that even ladies who hitherto were black beauties have on so many instances ended up becoming ugly owing to their ignorant and complex behavior that is hinged on colonial mind twist. Many women have continued to bring utter ruin to their looks and skin health through this degrading act of bleaching. Very disappointing too is also the fact that even the fair skinned ladies also bleach! But you should know that whatever under which guise you hide to destroy your skin, call it toning or bleaching, they mean one and the same. If you want to know how rampant this terrible malady of fashion and life style has become, just look around you. You would even find a few men folks following this destructive trend. But you would also want to ask, since they look into the mirror every day and time, why do they not see the damage they do to themselves; why do they not quit? 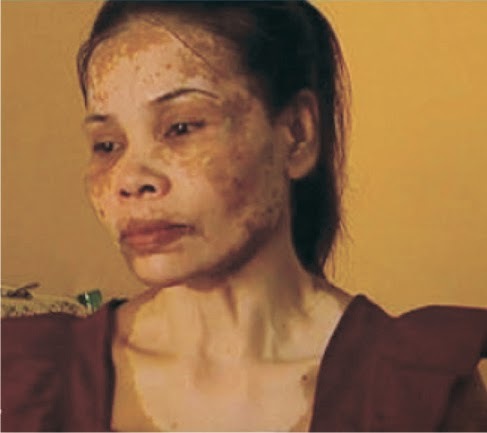 I now found out the reason: The destructive chemicals in these bleaching agents also penetrate the brain cell to do damage, and so researchers have disclosed psychiatric disorders as one of the various fall-outs of this complexion craze in some of the victims in the society. The deadly hazards of skin bleaching abound,and I want to plead with my fellow black folks and particularly the ladies, especially here in Nigeria to desist from this practice. The followings are some of the deadly fall-outs. 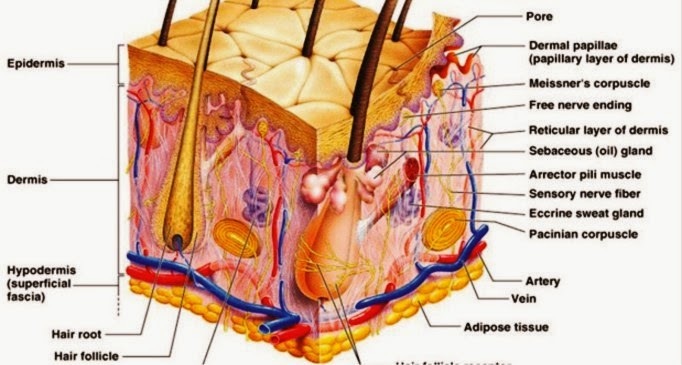 Melanin Destruction: It is very worrisome that those who engage in skin bleaching are knowingly or unknowingly stripping their skin of the all important epidermis and destroying the melanin – the very insoluble pigmentation of the epidermis which is also the protective covering or the outer skin which is meant to shield the (black man’s) skin from the harmful ultraviolet rays of the sun and other forms of danger. This we know can, and has often led to untold skin damages in those who regularly use bleaching agents. Facial Hairs in Women: Bleaching causes the women to develop abnormal hair distribution such as, and especially the growth of mustache, and side burns, beards, etc. Bleaching agents wear off the upper layer of the skin and also trigger off troubled waters in the hormonal balance in that masculine features begin to rear up in a woman. This I have clearly observed. Skin Cancer: As a consequence of the over exposure of the bleached skin to the ultraviolet rays of the sun, the skin is prone to serious damage and it has often led to all manner of skin troubles including skin cancer. My fear now is that there could be an impending cancer pandemic waiting to explode if we do not drastically check this deadly trend amongst our women. You must know here that hydroquinone, one of the main ingredients in bleaching creams and soaps has been found to cause leukemia, which is blood cancer, in mice in laboratory experiments. Organ Failures: Medical research has proven the fact too that the chemicals contained in the bleaching agents are capable of wreaking untold havoc on the internal vital organs of the users. The vital organs that usually fall victim include – the liver and the kidney apart from the skin itself, due to the mercury content of these bleaching or skin lightening products, etc. Other related fallouts include osteoporosis, neurological damage, and serious birth defects in children born to women who are into this form of abuse. Surgical Problems: There is also the danger of developing very brittle and fragile skin; thus the skin is weakened to the extent of being unable to hold stitches in case of surgery. Permanent Skin Damage: Many a times irredeemable skin damage occurs on the face and other parts of the body that has been so abused with the bleaching application. Black or multi-coloured patches appear on the skin; sometimes sores, a foul smell, ugly stretch marks accompany themselves on the skin of the individual. Cellulite eruptions, green veins showing all over the skin areas are also some of the skin defects that usually occur. There is so much you could do by way of natural skin care, and even skin repair. The consumption of plenty of water is a very simple no expenses involved approach to benefiting your skin. Fruits and vegetables like berries, tomatoes, walnuts, cucumber, avocadoes and other pears, as well as fish oil, have all proven to be highly invaluable in treating, enhancing or maintaining a beautiful and healthy but natural skin. If you ask me, I do not see anything more resplendent and even alluring than a natural ebony or chocolate radiant blossom of the African skin. Also, you have to make sure to avoid over exposure to the rays of the sun, take your fruits and vegetables and watch your skin glow. If you have gotten dark due to over exposure to the sun, all you need to do is just try to reduce your exposure and you will see your skin returning to normal; you do not need all that creamy or soapy stuff you want to apply to your skin. Just stay indoors more often or carry an umbrella when it shines intensely; also remember not to take very hot baths because it shrinks and ages your skin.